Shopping for the wedding lehenga is a most exciting part of the whole wedding planning. Whether you have curvy or not. 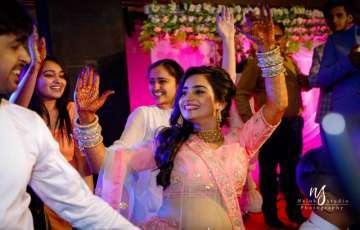 Every bride is beautiful and would like to flaunt their happiness in the face. 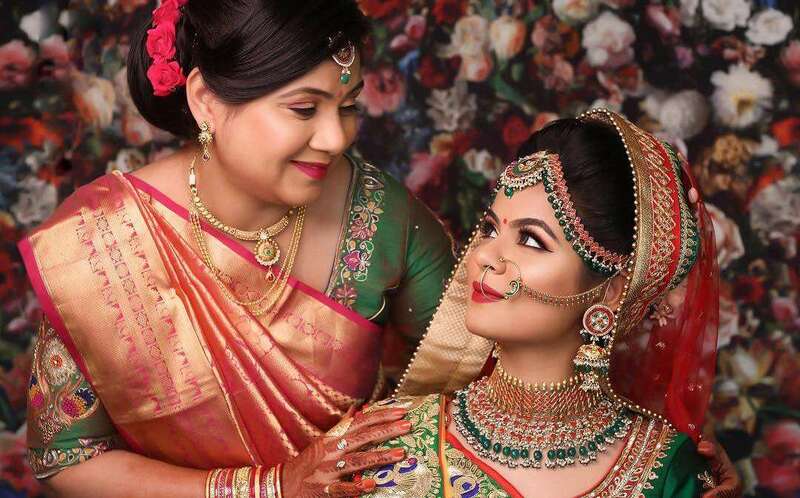 The satisfied bride with their wedding attire, wedding makeup, etc can increase the piece of their beauty with a charming happy face. If you haven’t decided your bridal lehenga in Jaipur among the millions of choice, then we can help you. Get ready to delight in some great ways. 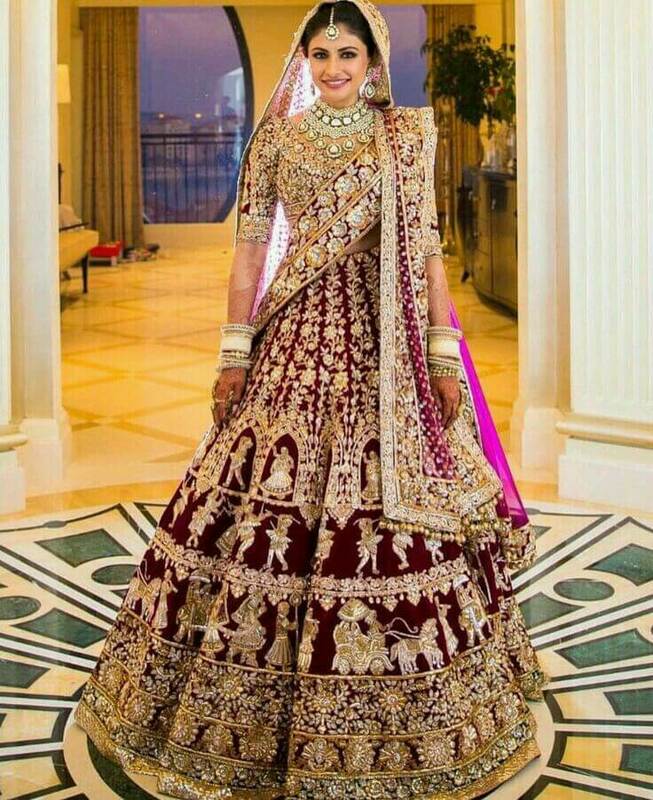 Here are 25 ways that help you to choose your perfect bridal lehenga. This is for every bride. Now, keep calm and get perfect bridal lehenga for your wedding by following the below guides. Most of the bride tone up their shape to get fit for the wedding. To finalize the fitting of bridal lehenga should go with, that perfectly fits you now. Do not go with the earlier fitting sizes; the wedding excitement can change your health. First measures then alter the lehenga. The common color for traditional wear is fixed to the red, maroon or golden. There is no rule that every bride should go with this. To look most stunning, you should choose the color that you want. The right color enhances your features more. 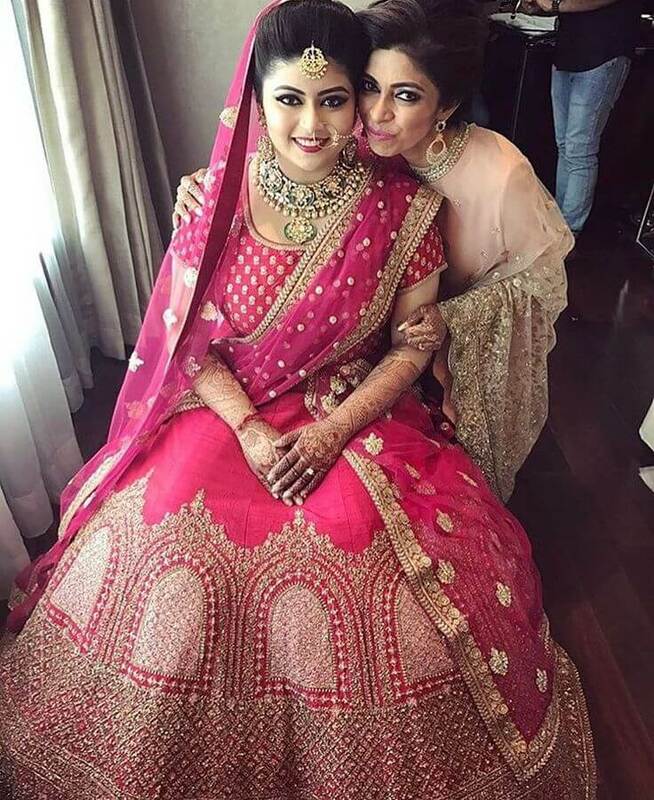 Whether too short or too tall, find the right bridal lehenga with your height is important. Are you planning to wear high heels on the wedding day? If yes, then add this few inches in your attire too. You can play with different fabric, texture to add extra inches to your frame. While purchasing the expensive bridal lehenga in Jaipur, don’t make a mistake and try it properly before pay for it. Analyze that the lehenga is easy to carry or comfortable for you. Bridal lehenga is the highlight of your biggest day. Do not hurry while choosing the Bridal lehenga. Compromising can be a heavy step for a bride. Analyze the different stores and then select the perfect one. 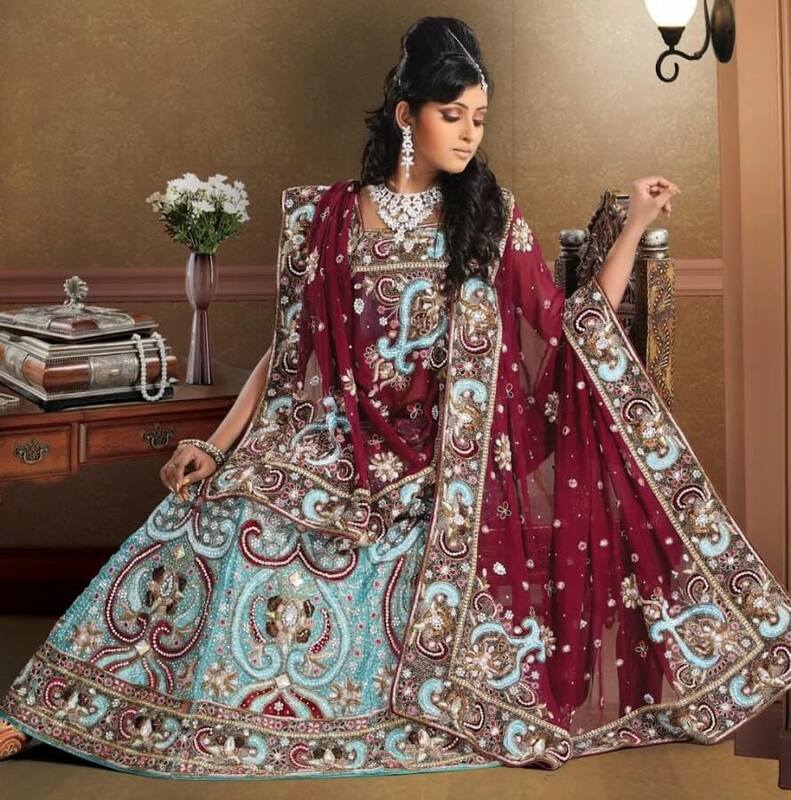 Bridal Lehenga’s Motifs also help you to handle your beauty. The small motifs in embroidery patterns are suitable for the big sized body shape. It draws too much attention on them. If you are heavy, you shouldn’t go with heavy motifs. While, an average body shape bride, go for the bold pattern and heavy embroidery patterns. There is no doubt that bride’s attire should be an exclusive one. 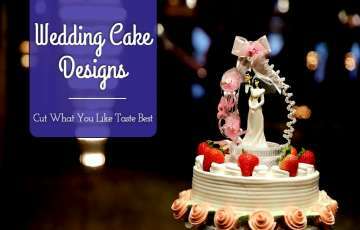 The wedding is just for a bride and it is not cool if there is a replica of the same wedding. If you have a good budget, customize your exclusive lehenga with the lehenga designer in Jaipur. 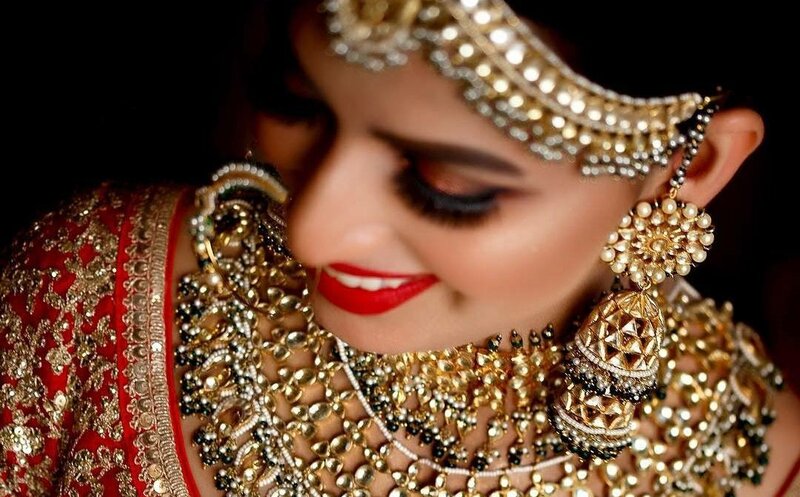 Every bride knows that first figure out the jewellery because jewellery can be worn more than the lehenga. 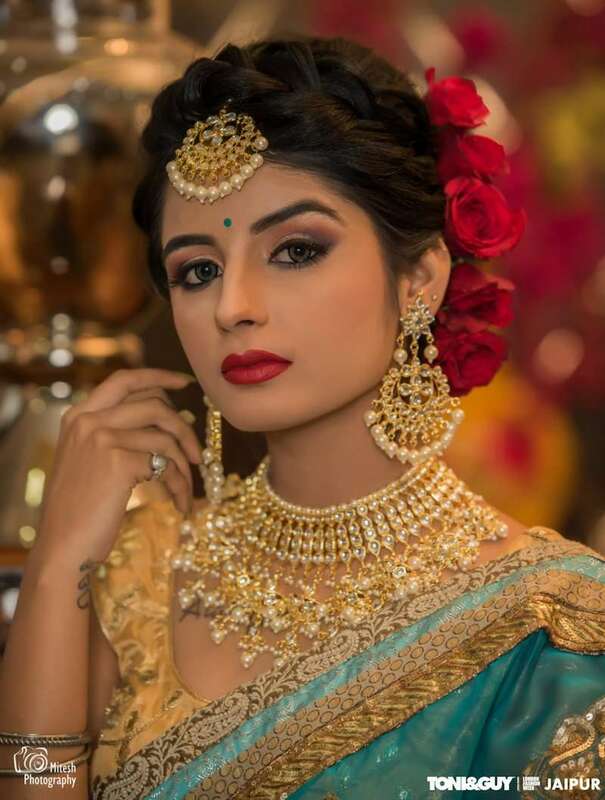 Choose your bridal lehenga that matches with the jewellery embellishments. If your wedding jewellery is heavy, you should go with the simpler lehenga otherwise with the heavy one. Every bride has their own preferences and to show cast their style in the wedding is a perfect time. While choosing the bridal lehenga, go with your style and taste and explore it in front of all guests. Stick to your true style, never copy from other’s style or from the wedding magazine. A Dupatta is an essential component of your bridal attire. So, don’t take it lightly. The correct shade of dupatta makes your face look bright and appealing. 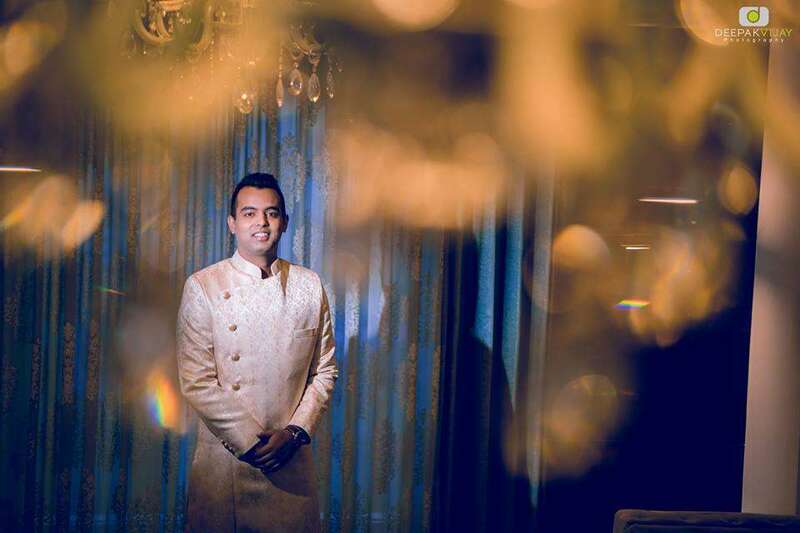 The mandatory dupatta in bridal lehenga can be close up for your wedding photography. Whether the day or night wedding, a bride wants to look stunning. For the daytime wedding, brighter shades and light or minimal work is suitable for bridal lehenga. For the nighttime wedding, darker and rich numbers of embellishment are suitable. The contrast is a trend now, not only in Saree but in Lehengas too. Pair up your wedding lehenga with a contrast Kurti. It looks unique, contact the best designer in Jaipur for the help. The traditional wedding bridal lehenga can get really pricey and it is the most important attire for the bride’s life. You will get your dream lehenga within your budget, but you have to search the market enough. Budget is the major issue for the wedding. Stick to your budget and prevent to spend a lot on bridal lehenga. The latest bridal lehenga trend is a belt with the lehenga. You may go with this trend and can search for another trend. But you have too, it is your day and it is amazing if you will follow the attire trend. It makes you stylish with an elegant traditional look. A wedding is a most important and hectic-full day for every bride. The heavy and uncomfortable fabric of lehenga makes you uncomfortable for the whole day. Go with the fabric that makes you feel cosy and upright for the situations. The silk, net, etc are lightweight fabric and comfortable for every wedding attire. The wrongly stitched clothes can be very problematic for a bride at wedding time. Choose the best tailor or lehenga designer in Jaipur that is professional in their work. The best swirl is the key of your happy lehenga. Best swirl has a large number of pleats. A lot of swirl looks wonderful on every bride. The latest trend in dupatta draping is double layering dupattas with bridal lehenga. It gives you completely different look. One dupatta is sited on the head and another one around the waist. It highlights your curve and makes you look stunning. 19. Comfortable Fit & Corset Fit? It is important to make attention to the type of fitting while dressing up like a bride. A Corset fitting lehenga can be suitable for the 3-4 hour and can be perfect for the other wedding ceremonies. But for the wedding day, you should go for the comfort and choose the comfortable fit outfit. 20. Are You The Same Bride? Do not follow the same bride style and trend. Add a little twist to your lehenga or choli and different and unique embroidery works. Choose a different shade of lehenga and blouse. Surprise your wedding guests with your wedding outfit, after all, it’s your day. 21. Are You A Summer Bride Or A Winter Bride? Yes, the season also matters to find the perfect bridal lehenga. If you are summer bride, go with lighter fabrics and softer color tones in net, georgette or chiffon. If winter bride, go with heavy fabric and darker color tones in satin or velvet. Consider the body type is the must. If cuts and flair of lehenga do not suit your body type can spoil your wedding day. Let’s know your body shape. Hour Glass: Choose an A-line lehenga with a short choli. Pear-shaped: Choose lehenga with simple and straight cuts with an embellished choli. Petite: Choose a lehenga in a stiff fabric with light work choli. Top Heavy: Choose a flared lehenga with embellishments. The skin complexion matters a lot for your wedding look. The correct color that complements your skin tone makes you look bright and happy. If you have fair skin complexion, then go with bright shades of pink, red or blue. If you have dusky skin complexion, then go with reds and bright greens. A bridal Lehenga is going to be the costliest clothing for your wardrobe. 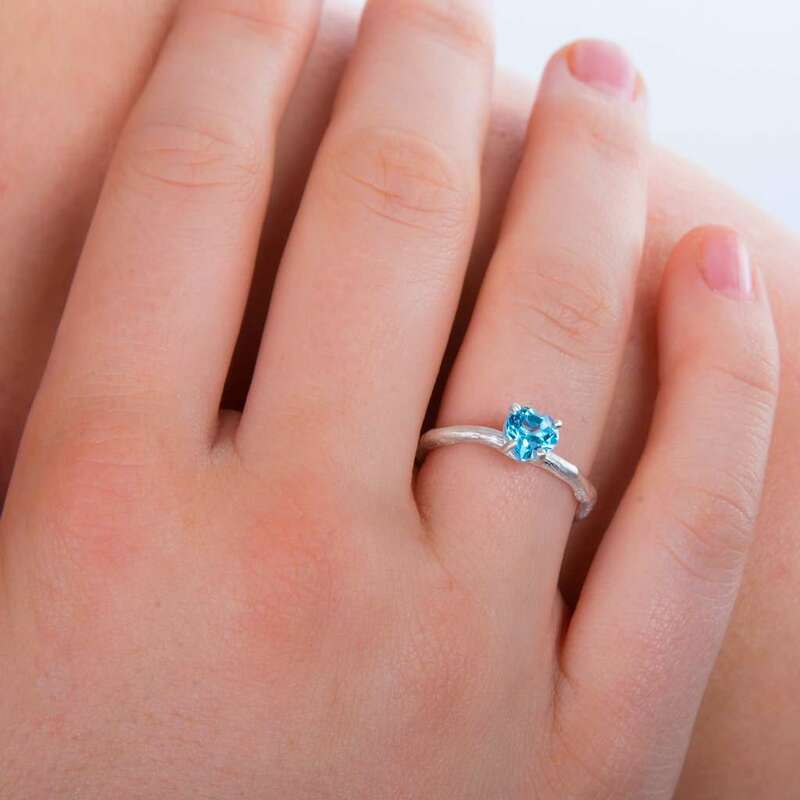 Make sure it has certain components that you can wear it again in some other ceremonies. Light up cherish wedding night with the same attire. 25. The Inner Facing Of Your Dupatta. A bride in dupatta veil is common in wedding whether for ritual or photography. Make sure with the inner facing of dupatta because it is going to touch your face and head for the whole wedding. A bridal lehenga is an important attire in bride’s wedding outfits. There is no doubt to find the bridal wedding dress or lehenga is one of the most important decisions for a girl. A perfect bridal lehenga is the beauty of a bride on the wedding day. So, the above ways can help you to find your perfect bridal lehenga and clear all your doubts. Because there is no any mistake is accepted on the wedding day. 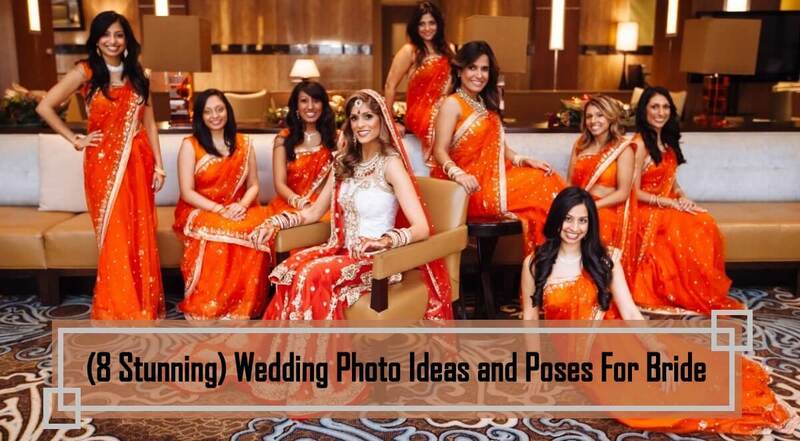 10 Refreshing And Unique Bridal Portrait Ideas For 2019!